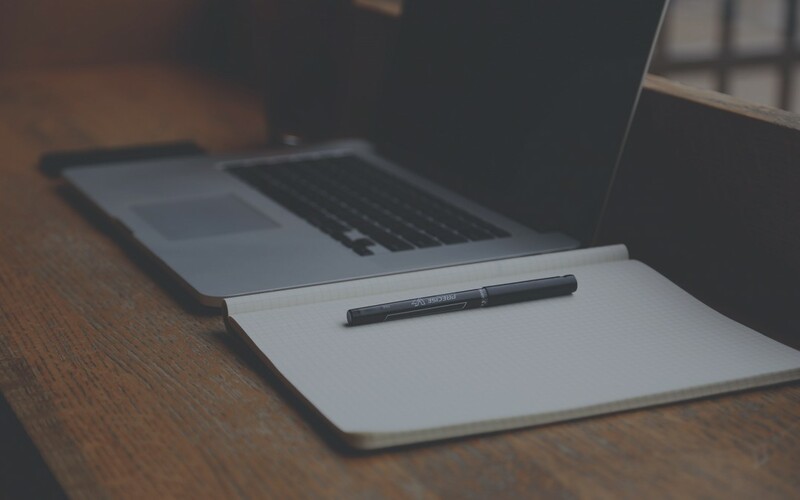 Here are 10 of the hottest tools that productive business owners are using each day! A “must-have” for every business, Google Analytics provides essential data about your website traffic. It tells you what keywords people use to find you and how long they stay on specific pages of your site. 2) Evernote This organizer app saves audio and text notes, organizes photos, and sets reminders. It’s like having a personal assistant in your back pocket. 3) Email Management Save tons of time sending bulk emails with clients like Mailchimp, Constant Contact, AWeber, and Infusionsoft. These social media productivity tools are ideal for powerful email campaigns. 4) Canva This online graphic design tool is for those with little or no experience editing photos. With hundreds of layouts and templates to choose from, you can create presentations, newsletters, brochures, and so much more with ease. 5) Hootsuite This social media productivity tool allows you to schedule and manage more than one social media platform from one convenient dashboard. Slide Share, a product of Linkedin, is a web-based slide hosting service that enables you to upload presentations for public or private view. This is an excellent opportunity for small businesses to generate qualified leads. This is one of those social media productivity tools that is ideal for small businesses to generate qualified leads by sharing their expertise. Feedly is a cool little app that lets you compile news feeds from your favorite online sources so you can customize and share them with others. It’s also a great tool that inspires blog ideas. A fun and powerful way to connect with your followers and engage new ones as well! The power of video is incredible and with this new Facebook tool you’ll be able to broadcast your message to the world right from your phone! Asana is a social media productivity tool that keeps your team on task. Users can track team goals, assign priority to certain assignments, monitor updates, and manage timed projects. This online resource is an excellent tool for outsourcing tasks. 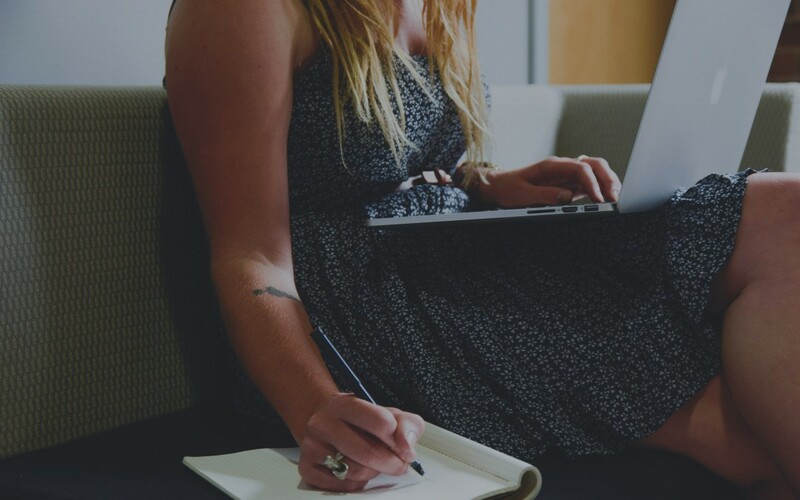 From graphic content to written content, hundreds of freelancers are available for a minimal fee to help lighten your workload. My recent collaboration with a local business proved conclusively that even a small business can achieve great success in sponsoring a cause related marketing campaign. You don’t have to be a Macy’s or Merck, sponsors of the American Heart Association’s Go Red for Women campaign to raise women’s awareness of heart disease. No, you can be the next ShowerMan of New Jersey. This maker of custom shower enclosures helped to sponsor my recent entry into the inaugural Ironman New York US Championship triathlon which also benefited three local charities. I wanted to participate in the Ironman Triathlon but the fees are very high. I decided to approach Mark Balaban who is not only a friend, but also the owner and craftsmen behind ShowerMan. He saw the value of the campaign for his business, but he is also an ardent supporter of local charities. So we formed a mutually beneficial partnership. It so happens that ShowerMan’s logo is an illustrated Superhero (use image in post) – and a Triathlon takes heroic effort. Just as an athlete requires discipline to compete at the highest level of sport, a company needs to make a commitment of resources: time, money and people. But the campaign can pay huge dividends. The brand will go viral and penetrate other markets through traditional and social media, reaching potential new customers. It turned out to be a win-win for everyone: ShowerMan received great publicity and increased business; three charities benefited from the proceeds of the campaign; and I got to participate in the triathlon where I’m happy to report that I finished fourth(?) in my age category. As the sponsoring company, what do you want to achieve from the campaign? Be as specific as possible: increase sales by xyz, burnish your brand, establish relationships with local charities and other businesses to fulfill your own personal commitment to a charity, etc. 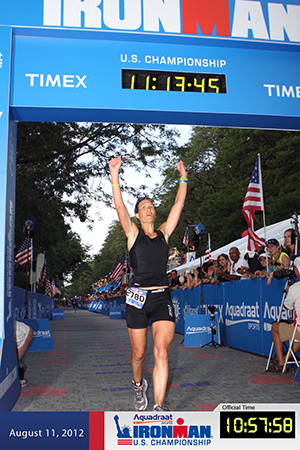 The goals of the ShowerMan and Ironman Challenge were to race with purpose, promote ShowerMan, and raise funds for three charities: I Will Foundation, Kick Cancer Overboard, and Make a Wish Foundation. Reach out to your customers, potential customers and local businesses to get on the bandwagon. Ask for donations and in-kind contributions such the promotional flyers donated by the local printer. Get the flyers and promotional materials displayed in stores, businesses, and other relevant places. As the concept materialized for the Ironman Challenge, our friends and community of local businesses banded together to play integral role in helping to support the Challenge. They volunteered their time to help promote the cause, donated their products and services, helped to raise funds for our charities and gave through their moral support and energy. We were fortunate to receive the support of the Freehold Network for Success networking group, consisting of more than 1,700 local businesses, which collaborate and help one another. The Northern Monmouth Chamber of Commerce also lent its support. Additionally, I’m a member of the Freehold LeTip group, an exclusive business referral organization, which provided significant contributions. I couldn’t ask for a more supportive group of professionals! 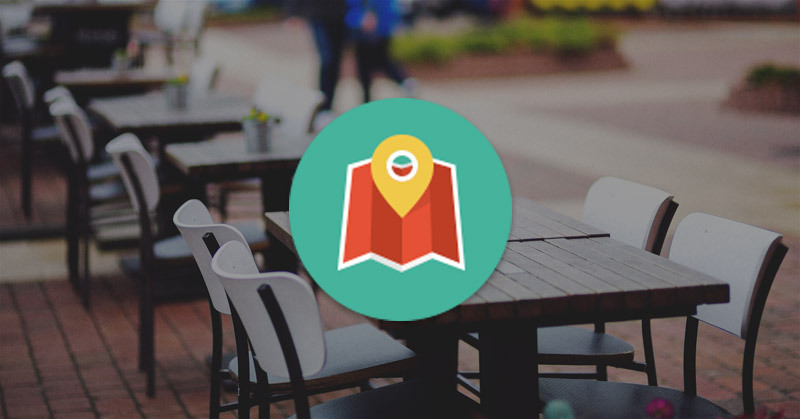 Most cities and towns have similar groups that you can tap into to support your campaign. If your company has a marketing budget, then carve out funds for your campaign. Even if your budget is small, you can ask for volunteers to handle publicity. Possibly the charities who are beneficiaries of the campaign can request local media to run free advertising on their behalf. And don’t forget social media. It’s free and you can populate social networks like Facebook and Twitter with news of your campaign and to ask for donations. Social Media/ Facebook: Social media played an enormous role in promoting the cause. Blue Star Media helped to create a Facebook landing page ShowerMan Challenge with details about the Ironman race, ShowerMan sponsorship, and direct links to donate to the three charities. Outdoor Advertising: The Challenge was featured on a giant 10 foot x 32-foot digital billboard… front and center on a main highway– thanks to Showerman and his speedy IT Crew! Post Cards: Using the same branding as the Facebook landing page, the owner of Minuteman Press donated and printed a stack of 4 x 6 post cards that were distributed to stores and at networking events. Radio: The first interview with Ray Rossi on local station 101.5 featured several key people who helped with the promotions of the Ironman Challenge, including Mark Balaban, Bill Algokce of Bridge Financial Group, and Anthony Beshara, owner of Bella Vista Country Club. 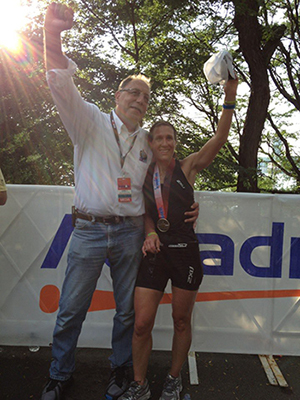 In the second interview, Ray interviewed me and several other Ironman triathletes competing in the race. Local newspaper: The Coastar wrote a wonderful feature story about my participation in the Triathlon and the ShowerMan Challenge. It takes work to mount a cause-related marketing campaign. Everything worth doing takes a lot of work. But you can spread the work around by engaging members of your local community. They will be happy to participate when they know your campaign will be supporting local charities that benefit them and the community. In closing, I’d like to share the secret that made this cause marketing event so massively successful—choosing the right sponsor! In my case, I was extremely fortunate to partner with Showerman. 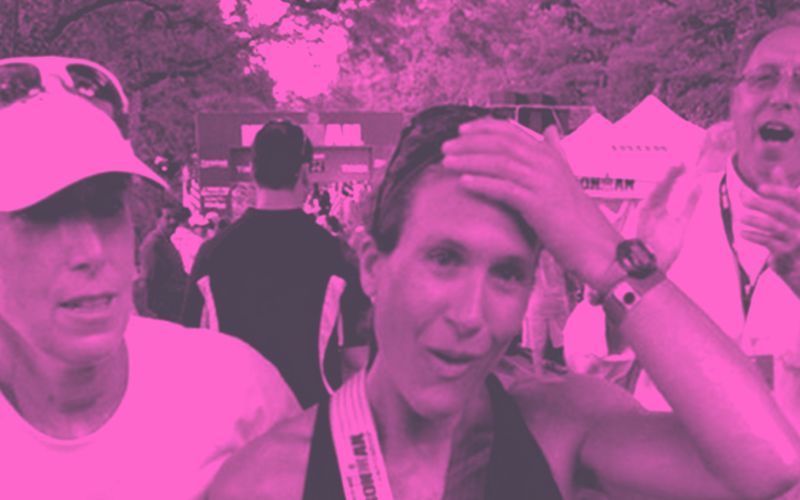 Not even “a Nike sponsorship” could have compared to the unconditional support, enthusiasm, and energy that Showerman provided throughout the Ironman challenge, making all the difference. 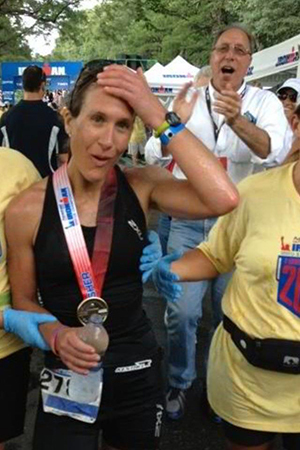 Showerman and all our supporters encouraged me during the intense physical training, helped raise money, and even went to the NYC Ironman race – fighting through the crowds and security so they could be right there as I crossed the finish line! The best advice I can give before implementing the above strategies is to be passionate about your cause and to seek a sponsor where you mutually believe in one another. For me, it was a privilege and honor to represent ShowerMan, a pure brand— that is known for “All That Is Good in the World”! How do I get more Likes i.e. fans? The answer is: by working at it and becoming a valuable resource for your fans… A thriving Facebook page shows social proof and lends more credibility (just like we’d prefer a busy restaurant over one with just a few people—true story, we actually left a restaurant one time because we were the only ones there!!). Not only does the social proof give a better perception about your business, but also both the Number of Fans DOES Matter and the Amount of Interaction MATTERS in terms of actually getting more traffic and more exposure in the Newsfeeds. According to a study by Hubspot, Businesses with 501 to 1,000 Facebook fans had 3.5 times more traffic than those with 1 to 25 fans. Businesses with over 1,000 Facebook fans had 22 times more traffic. Additionally, did you know that Facebook has its own set of criteria for determining whether or not your posts actually get seen in the Newsfeeds? Just because you are posting updates, it does not mean people actually SEE your posts. In fact, if your page has a low fan count plus there is little to no engagement with your fans, you are virtually non-existent and not showing up in the Newsfeeds! How Do I Get More Facebook fans to Engage With Me? 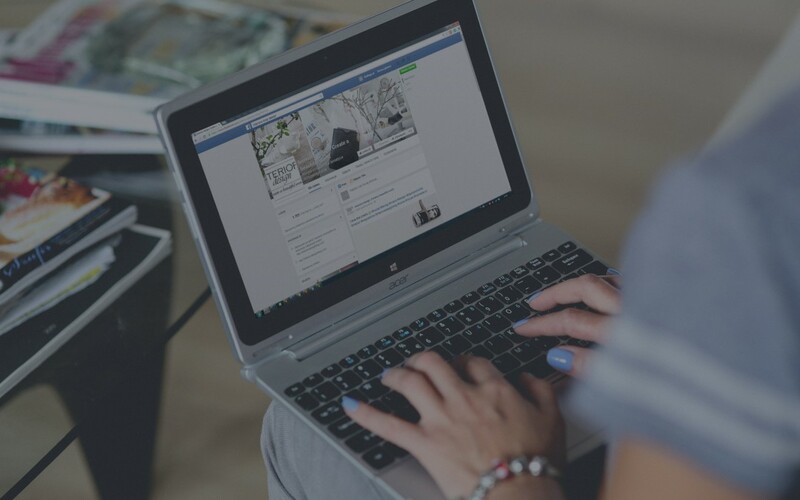 If you are a business owner and marketer, getting your message out in the Newsfeeds and in front of your audience is one of the most important things you can do on Facebook. That can only happen if you get “Liked” first. According to Jeff Widman at Brand Glue, 96% of fans never revisit a Facebook page once they have like it. Instead, they are interacting through updates and comments in the Newsfeeds. Therefore it is essential to have compelling and engaging content to keep your fans interested and to build a thriving community on your Facebook page. Now that you know the importance of engagement, I’d like to share 16 proven engagement strategies for you to implement. You will get more impressions, increased interaction, and loyal fans by following these practices. 1. Know your audience— This is the most important thing to understand. You need to first know who you are talking to! What are their, likes and interests? My favorite quote is “If you are talking to everyone, you are talking to no one”. Your messages will fall flat if you are not connecting with your audience and meeting them at their level—no matter how good your content is. This can be challenging at first, but you need to identify who your market, give them information they want, and take note of your posts that elicit response and engagement. 2. Identify Purpose –for your Facebook Page—what is your objective? What do you want to be known for? Before getting started, it’s important that you take the time to think through your goals, strategy, and your message. This will help you stay focused and give you structure as you plan your content and stay on target. A. What is a Landing Tab and How do I Implement One? The purpose of the landing tab is to provide a welcome message (video or written message), an introduction about the business—stating what you do, how you can help, and give a reason why people should like your page. If you are sent directly to the wall, then it can be confusing for the visitor not really knowing what your page is all about. B. What are the 3 Key Ingredients of an Optimized Landing Tab? A well optimized landing page will also have a call to action “Like my page”, clear incentive for becoming a fan (“exclusives!”), and an opt-in offer to capture name and email for continued relationship building outside of Facebook. After all, you don’t own Facebook, but you do own your email list which can be your biggest asset. 4. Add Value – Quality Content is essential. Your posts should be relevant, high quality, and useful for your target market. A good rule of thumb is to follow the 90/10 rule. That is 90% of the time you are giving excellent information and 10% of the time you are promoting your business. 5. No excessive Self –Promotion— One of the biggest mistakes I see (and also a huge turn off) is constant one-way broadcasting. People are more interested in talking about themselves so make your posts about them. I see this a lot on Real estate FB pages where all the posts are just broadcasting listings. A better approach would be to give lots of tips and helpful resources for homeowners buying and selling homes. 6. Comment and share–– If you want people to comment on your page then make it a habit to interact, comment, and share other people’s posts. 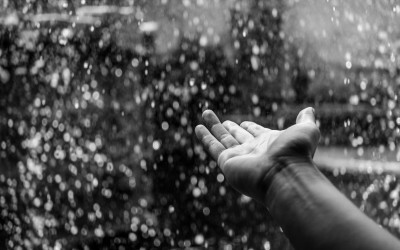 It’s the law of reciprocity; the more you give, the more you will get in return. The new share button makes it very easy to share other people’s posts. 7. Add Photos & Videos— Keep it fun and engaging with photos and videos. Images get more visibility in the Newsfeeds. 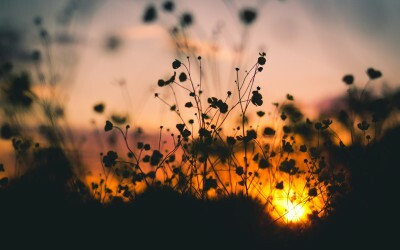 In fact, engagement with posts that contain photos is nearly 300% greater than when we post only text, according to study done by www.thenextweb.com. 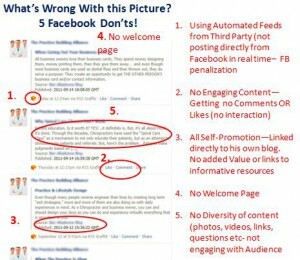 Be Careful using automation from third party resources—that is anything other than facebook to post updates. Many businesses use automated tools (like Hootsuite, Tweetdeck, NetworkedBlogs etc.) to post their content. While they may be time saving tools, the disadvantage is reduced engagement by as much as 70%. Users of these tools are actually penalized, as Facebook gives it less weight which lowers edgerank resulting in reduced visibility in the Newsfeeds. 9. Ask Questions— Facilitate interaction by asking quality questions. The more fun, engaging and insightful the question, the more people will interact and will be more likely to get into the top newsfeeds so more people can see your posts. For example ask your fans their opinion about a certain topic or don’t be afraid to ask your fans what kind of information they are most interested in getting! 10. Mix it up— Diversity of content is important. Keep posts fun, entertaining, educational, occasional promos, add links to resources, give tips, ask questions, do fill in the blankets (i.e What was your favorite book you read in the last month_________), run polls, add photos, videos, and share others. 11. Contests— Running a Facebook Contest is an excellent way to grow your Facebook page and to foster engagement. 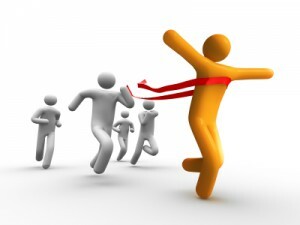 There are many third party companies that offer this “plug and Play” platform to launch a Facebook contest. But, there is strategy involved and things to know before diving into this. We will discuss contests in a separate blog post! 12. Create an experience unique to you page— This creates a sense of community and can really draw people in to your page. i.e: Fan of Week; Ask the Dr. /Ask the Experts Fridays; Motivation Monday; Brag blog Thursday (all fans get to promote their blogs/sites on Facebook) etc. *A word of caution here: once you decide to try this, you must commit at least for given time frame. It will take time to catch on. Be consistent so your fans come to expect this. You may find it a huge success or other times, you might consider trying a new strategy. 14. Comment back— If someone takes the time to comment on your post, you should acknowledge and reciprocate with a comment back- even if it’s a simple “thank you”. A great tip I learned from my mentor, Mari Smith, is to address the person’s first name when responding. This will really help to strengthen the rapport and incentivize them to continue to come back to your page and engage. 15. Third Party Applications— Using Interactive application is one of the most effective ways to increase engagement. Examples include: Polls, virtual Gifts & coupons, Contests, videos, Interactive tabs. Some of my favorite companies are: Involver, Wildfire, Buddy Media, TabPress. http://edgerankchecker.com/. Use Edgerank Checker to help monitor and maximize your Facebook Exposure. 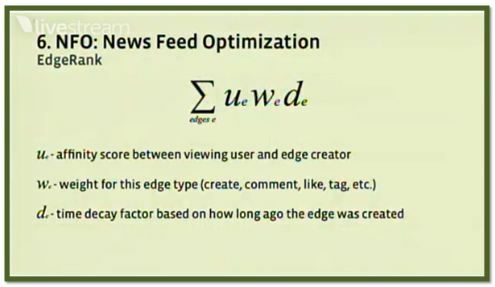 Remember EdgeRank is an algorithm that ranks content in the Facebook News Feed. Pages with high EdgeRank Scores will be more likely to show up in the news feed, than Pages with low EdgeRank Scores. http://crowdbooster.com Very neat new monitoring tool I recently discovered! It’s easy to use and helps to identify your most effective messages on Facebook and Twitter. It also identifies your influencers, people influenced by you, and your audience’s interests. There you have it! These are 16 proven engagement strategies that will help you build and manage a thriving Facebook community! 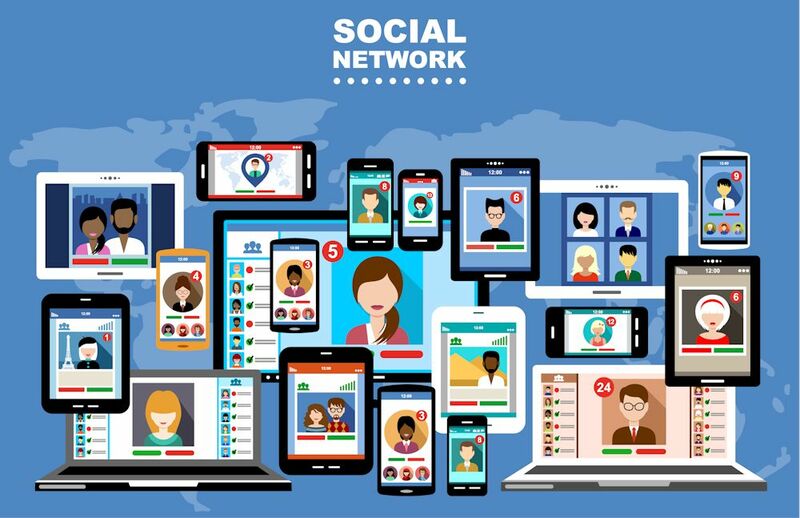 Remember building an interactive community and being a valuable resource will help increase your visibility (improve EdgeRank) in the newsfeeds and position you as the “go-to-expert” in your industry. Now it’s your turn. What are other ideas that are working for you? If you found this helpful please share this on Facebook! 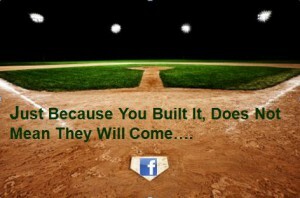 One of the most memorable lines in Movie, Field Of Dreams is that “voice” from the distance echoing “If you build it, he will come!” Well, that may be so with Kevin Costner’s baseball field, but unfortunately it does not work like this with your Facebook Fan Page—we wish, right? So to help out those businesses who are struggling to gain traction with their Facebook Page, I created these Two Video Tutorials for you BELOW. I promise that if you take action and implement just a few of these strategies I share, they WILL come—and you will build your fan base! 1) Why Facebook Matters with 6 reasons a business needs to have a Facebook page. *Note there is a distinct difference between Facebook personal profiles, Facebook business Pages, and Facebook Groups. Most people get this confused. It is important that you first understand the basics and know the differences and benefits for all three Facebook platforms (profile, pages, & groups). These are proven strategies that work. In fact, I just recently more than doubled my Facebook page in less than 72 hours just by applying 4 of these 15 techniques I am sharing with you now. Watch this video below and see how you can catalyze the growth of your Facebook following! Was this helpful? 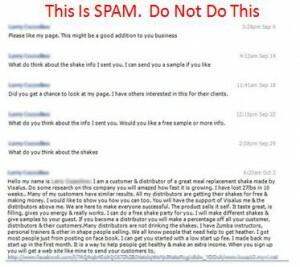 I hope you so—and that you will now implement for your own Facebook business page. If you got true value here and that you feel your friends will benefit as well, I would appreciate if you could share with your friends on FB—and keep me posted on your results! I’d love to hear your successes. Now it’s your turn. Please share with us by commenting below if I missed anything—what other ninja strategies are using that are working for you? !